What Can You Do with Medeek Wall? Welcome to the documentation for the Medeek Wall extension. Medeek Wall is a SketchUp Extension that provides a simple interface for creating accurate 3D wall framing geometry within SketchUp. This extension utilizes the SketchUp Ruby API programming interface and is compatible with the latest SketchUp releases (SketchUp Make 2017 64-bit and SketchUp Pro 2018 64-bit) as well as previous versions (2015, 2016, 2017). 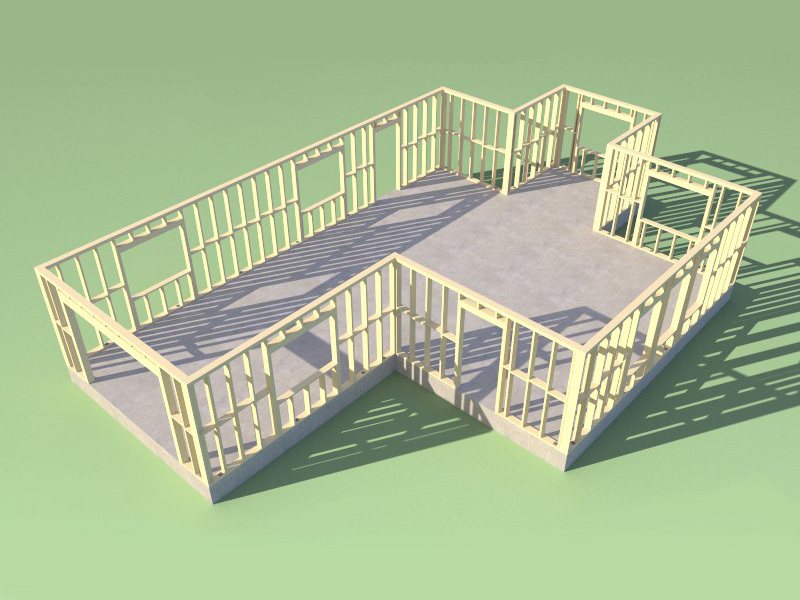 The "Framing Off" mode provides a full 3D model with all of the exterior element present however the internal framing of the wall is reduced to a single solid group. Additional elements that are found within the wall such as blocking, insulation and holdowns are not represented in this mode. The "Framing On" mode is the most detailed mode of the extension and includes all the details of the previous mode along with full wall framing, holdowns and insulation. The Medeek Wall extension is in the process of being integrated with a fully automated residential engineering engine. This future feature will provide structural engineering of all typical components of a residential structure and will include both vertical and lateral calculations. For additional engineering tools and site criteria maps please visit our Resources page. Free upgrades to the latest version of the extension can be downloaded at any time, within two years of the initial purchase date, by logging into the Account Manager. Once the initial two year license period has expired the license can be renewed for ($60.00) on a yearly basis. Free upgrades to the latest version of the extension can be downloaded at any time, within two years of the initial purchase date, by logging into the Account Manager. Once the initial two year license period has expired the license can be renewed for ($15.00) on a yearly basis. The current BETA version of Medeek Wall is 0.9.0b - revision date: 08.03.2018. WARNING: Medeek Wall is currently under development and is in a BETA stage. The user may encounter unintended behavior due to the addition of new features on a daily basis. Always backup your data to separate file names to provide redundancy in case of file corruption or other data loss scenarios. Copyright © 2017-2018 Medeek Design Inc.